(1) As a mom, you want your child to fit in and belong. And watching Flynn not fit in was painful. The constant bullying by a group of kids hurt my heart. (2) As a former teen and now having 3 of my own, I know how hard it is to stand up against the crowd and stop others from tearing down someone who is different from the ‘norm.’ Sometimes it’s just easier to go with the crowd, even if it’s NOT the right decision. Reclaiming the Sand is about Ellie and Flynn and learning to be okay with who you are. Ellie has been released from jail for a past transgression and now is trying to figure out where she fits in. Having grown upunwanted and unloved she has been diagnosed withReactive Attachment Disorder. Her label does nothing to make her any more lovable or easier to deal with. She’s a hot headed, selfish person who has an inability to empathize with others. I was not a fan of hers but as the story neared the end I softened to her, just a little bit. Flynn is different from his peers. Because of his awkwardness he’s considered a weirdo and a freak. The thing that sets him apart from others is his Aspergers (a form of autism). Social cues are not something he understands and he doesn’t know how to be anything but honest. The constant humiliation that Ellie and her band of misfit “friends” bestows on Flynn, both as a teenager and as an adult, was realistic feeling and made me cringe to see such calculated cruelty. I wanted John Quinones from “What Would You Do?” to appear and question the people who stood by and let this abuse take place. Make them examine themselves on why we as a society turn a blind eye to this sort of “teasing.” As a mother of teens, I hope my teens are not the ones joining in on this type of mob mentality. Okay, sorry, I got sidetracked. Ellie grows from being a bully to a friend for Flynn. She becomes his champion and he hers and eventually they become lovers. I’m not going to lie and say it was easy to read about their situation because it wasn’t. This is a story about forgiveness, redemption and finding love in the most unlikely of places. The hurt is very real and painful to read but also a very powerful and beautiful story. One that we can all relate to; either as the bully, victim or the bystander. While I mentioned this book made me uncomfortable to read, I still would recommend it to everyone. We need to be pushed outside of our comfort zone. Next time we see a “Flynn” or “Ellie” we should step in and be the difference we want to see with our world. 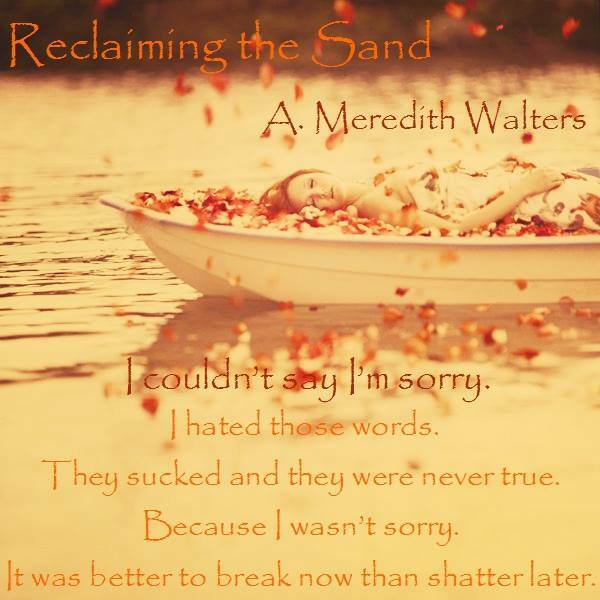 “Reclaiming the Sand” is my first A. Meredith Walters book but it won’t be my last. I loved the writing and the way the words pulled you into the story. 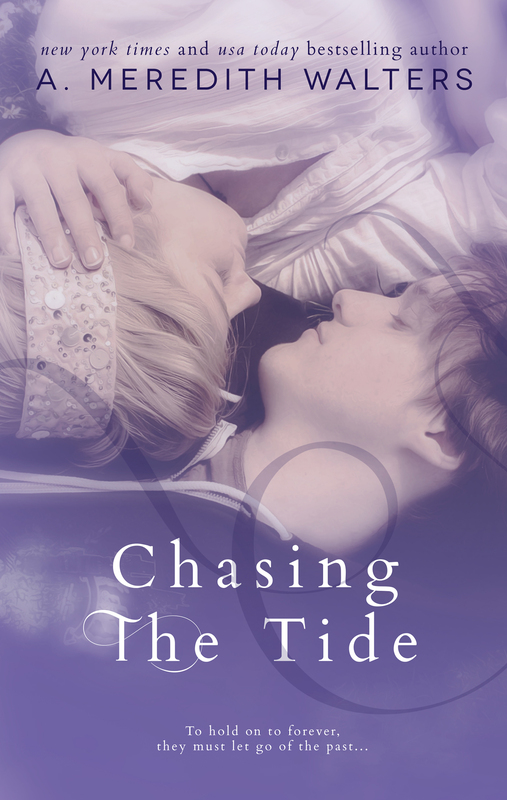 I will be reading the continuation of Ellie & Flynn’s story in the new book coming out 12/16/2014. “I like being with you. I missed you,” Flynn said, surprising me. Of all things for him to say, I had not expected that. It was such an innocent thing but it held so much weight. I couldn’t respond. I had nothing to say to that. I couldn’t reciprocate because I hadn’t missed him. I had spent most of the last six years despising him. Blaming him for things that weren’t his fault. It had been easier to hate him than to hate myself. “You stopped talking to me. After my birthday. You never called me again. Mom said to leave you alone. That you weren’t my friend. But you were my friend. Because you told me I was and I believed you.” His eyes were bright and even though he wouldn’t look directly at me, I knew his eyes were wet. His mother hadn’t told him what I had done. She had saved him from that particular pain. I didn’t know whether to be thankful or upset that she had done that. Because now here were, six years later, on the cusp of something not yet realized and i struggled. Meredith spent ten years as a counselor for at risk teens and children. First working at a Domestic Violence/Sexual Assault program and then later a program for children with severe emotional and mental health issues. Her former clients and their stories continue to influence every aspect of her writing. 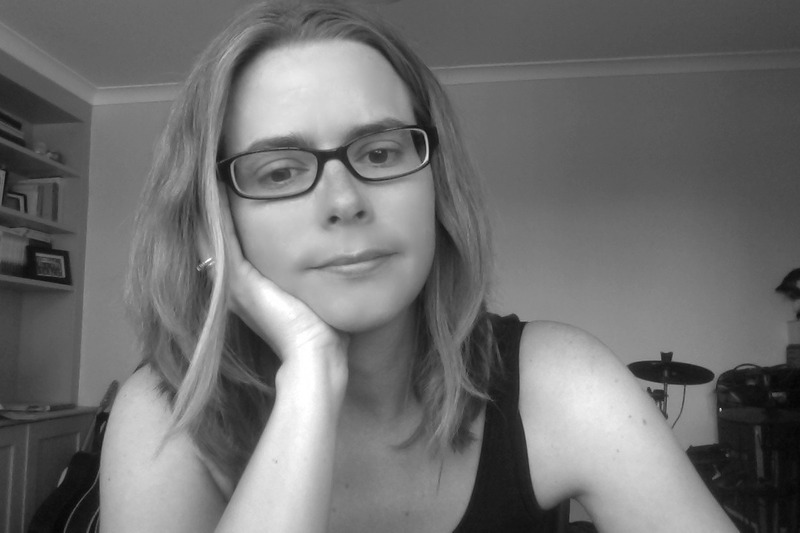 Meredith is represented by Michelle Johnson with the Inklings Literary Agency.